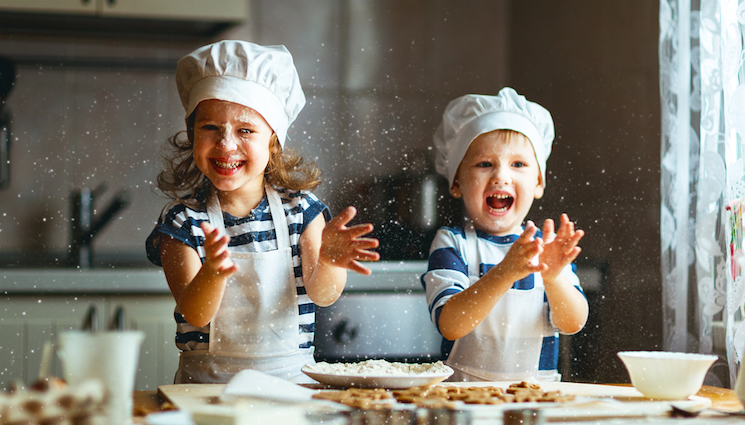 If you’ve never baked a Christmas cake before, why not make this the year you start a new family tradition? To help you on your way, here’s our easy-to follow recipe, plus a selection of top Christmas cake-making tips from baking bloggers and celebrity chefs. Feeling brave? Try one of our tantalising twists to help you take your cake to the next level. 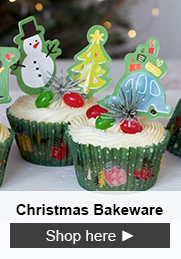 Sticklers for tradition bake their Christmas cakes on “stir-up” Sunday – a week before the beginning of advent. 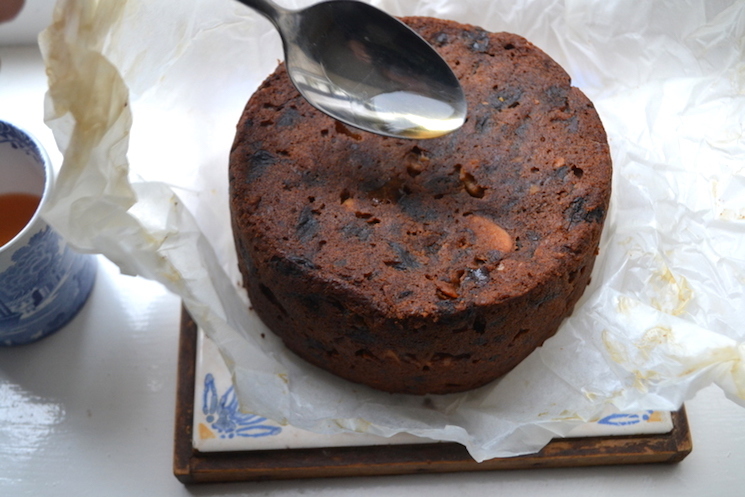 But Christmas cakes take time to mature, so get cracking as soon as you like. 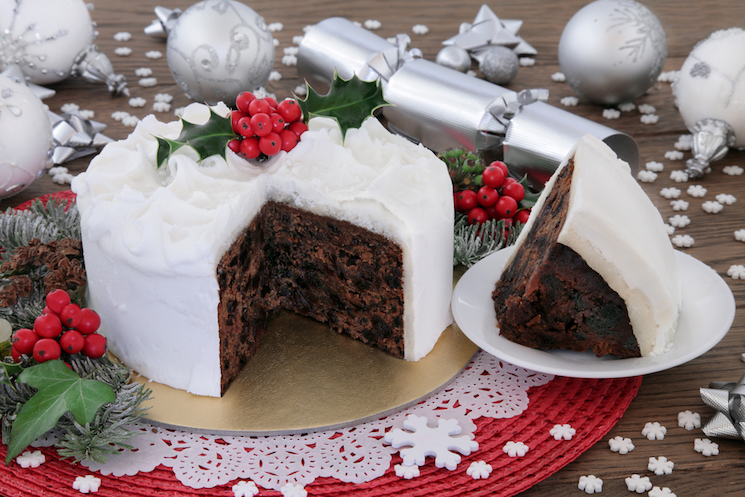 A mouthwatering Christmas cake is all about the dried fruit. 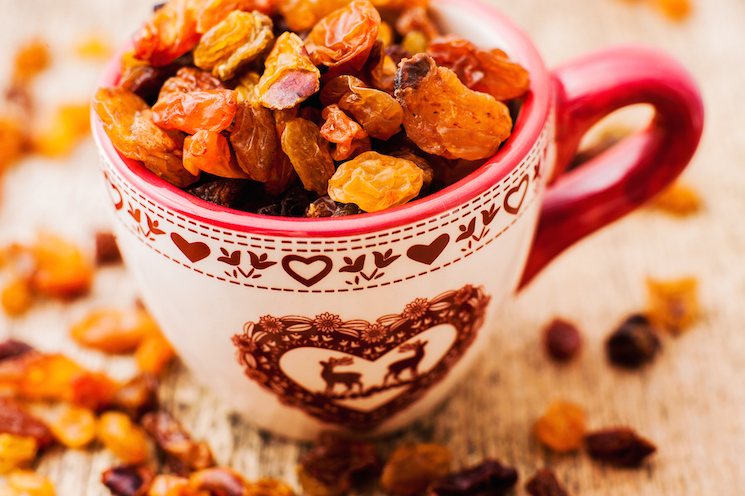 Our recipe features raisins, currants, sultanas and glace cherries, but you can use whatever you like. 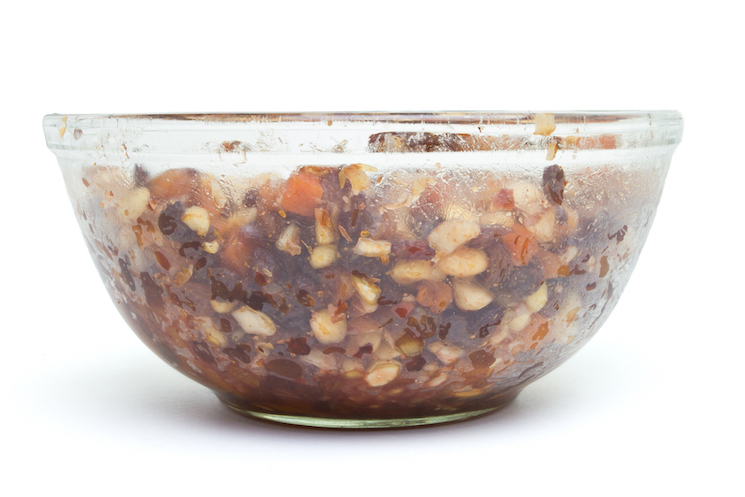 Pudding Lane blogger Lucy switches currants for dried figs and adds glace ginger to the mix. If you’re not a fan of heavy fruit-laden cakes, check out blogger Emma’s tropical alternative. She packs her golden fruit cake with a delicious combination of dried mango, pineapple and diced dried apricots. The point is, you can tailor it as you see fit! Tip your fruit mixture into a large bowl, add the zest of two oranges, pour in 150 ml of brandy or sherry and give it a good stir. Continue to stir every now and then, before covering the bowl and letting it stand overnight. If you’re not a fan of rich dark cakes, you might also wish take a look at Paul Hollywood’s alternative ‘White Christmas Cake’ recipe, which has a lighter texture and is flavoured with vanilla and fresh citrus zest. Preheat your oven to 140 degrees Celcius, and get busy lining your cake tin with greaseproof paper. Here’s how to do it. 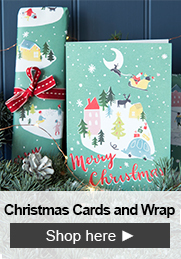 To line the sides, roll your tin up in greaseproof paper so you can judge the correct length. Now trim the top so that at least 10cm will be poking above the sides of the tin. Make a fold 5cm from one of the long sides and snip vertical slits in the paper all along the edge. 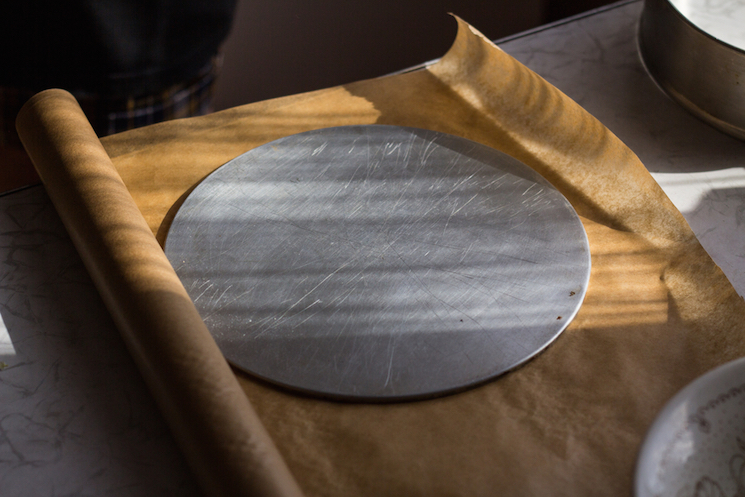 To make a base template, take a fresh piece of greaseproof paper, put the tin on it and draw around it. Cut out the circle. Grease the tin and wrap your strip of greaseproof paper around the inside with the slits you cut at the bottom facing inwards. As chef Karen Burns-Booth says, this ‘makes the strip sit in the cake tin easily and form a circle.’ Place the disc of paper on top, and you’re ready to go. 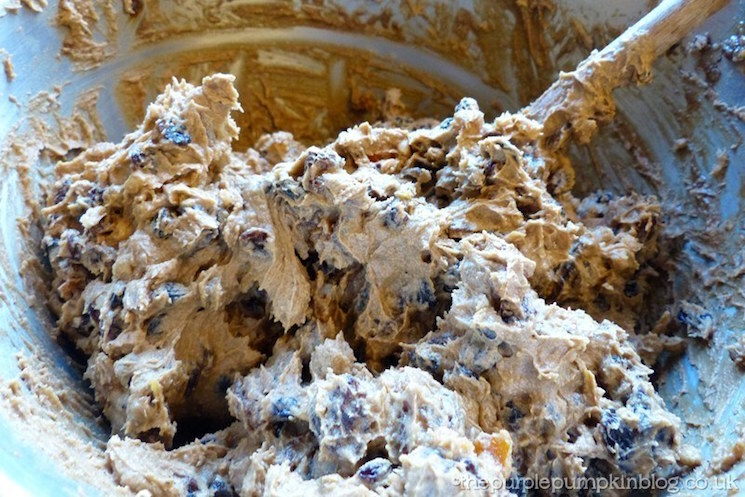 Who can resist this bowl of gooey goodness? Put your softened butter and light muscovado sugar into a large bowl and cream them together until the mixture is pale and fluffy, then add the eggs. Food blogger Nohreen Sloan says eggs at room temperature work best because they’re much less likely to curdle your batter. Stir through a tablespoon of black treacle, add the chopped blanched almonds, and beat everything together. Next, carefully fold in the plain flour and sprinkle over half a tsp of mixed ground spice. 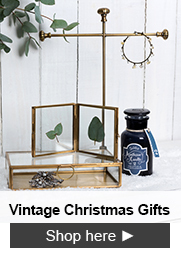 Stir the fruit into the mixture and, for a traditional touch, add a ‘lucky’ silver coin. Professional baker Annabel Langbein remembers eating piece after piece of her grandma's dense, rich Christmas cake for the threepenny pieces and sixpences hidden in the mixture! 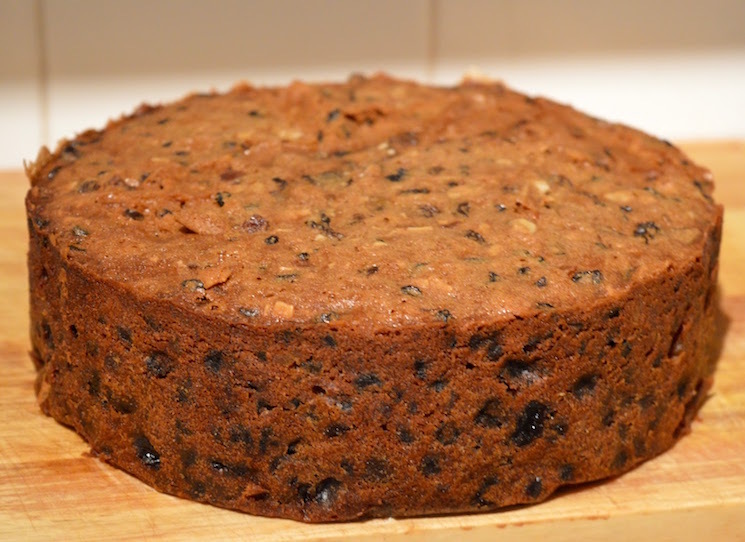 Nothing beats a homemade Christmas cake, says blogger Sam. Spoon the batter into the cake tin and put it in the oven. Bake for 4 – 4 ½ hours, until your cake is firm and a deep golden brown. If the colour’s looking good after two hours, cover the top with parchment or foil to stop it burning. Check to see if you cake is ready by inserting skewer through the middle. If it comes out clean, it’s done. Your cake will taste all the better if you feed it. Once your cake is completely cool, pierce it several times with a skewer and drizzle 3 tablespoons of your chosen alcohol over the top. Wrap the cake in a double layer of greaseproof paper and a layer of foil, pop it in an airtight tin and store it in a cool place to let it mature. Allow at least three weeks for your cake to mature before enjoying the ‘fruits’ of your labour. 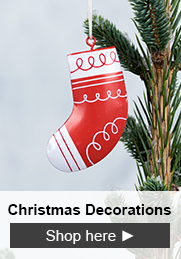 Decorate it with traditional marzipan and fondant icing, or leave it plain to serve with a thin slice of cheese like a sharp Wensleydale. Delicious!